Star PowerDarryl’s Super reinforces his barrel, reducing all damage he takes by 30% for 3.5 seconds. Darryl’s double barrel shotguns fire two staggered blasts of heavy close-range damage. Darryl rolls forward inside his barrel, knock back enemies and bouncing off walls. His Super recharges over time! He is good in Heist maps like Safe Zone, Cactus Corridor or G.G. Corral because he can roll over the water, which is a huge advantage. His DPS is also high enough to deal significant damage to the Safe. When the enemies respawn, roll away and hide in a bush near the Safe to be ready to roll back again. Darryl is also good in Brawl Ball as he can use his Super to knockback the enemies and take the Ball. You also can use his Super to move faster by throwing the ball first then use the Super after that. His Super changes very fast, which is great in this mode. Darryl is great in Showdown mode because he is a good camper. His Super charges automatically over time. Wait till the enemy destroys the box, come to steal the box then roll away. Frank is another easy target. Just roll towards him and attack. Roll to him when he tries to use the Super. If you don’t know yet, Darryl’s Super can cancel Frank’s Super, which is super helpful. You always want to approach Frank by rolling. Do not walk to him because he can easily kill you with couples of attacks before you can even touch him. Colt and Ricochet can be taken out quickly due to their low HP. Make sure you attack them first otherwise they can kill you with their Super. Brock can be killed easily if he doesn’t has his Super. Tara, Barley and Dynamike are easy to kill but you should kill Barley fast before he has time to throw his Super. Barley Super can be lethal to you if his friends are nearby. Leon counters Darryl pretty easy. Try not to face him alone. Stay close with your friends. If you don’t have Super, do not solo kill Crow. Crow can cause some problems for you with his poison while healing is important for Darryl. Also, If you think that Crow has his Super ready, do not charge to him because you will miss the Super and he can kite you with ease. Shelly is another counter to Darryl. She has better attack range and can do insane damage up close. Never attack her alone. If Bo has his Star Power, he can kill you with ease. Roll towards him if you want to kill him. Darryl is weak against most other tanks. He has better attack range than Bull and El Primo so it’s better to keep the distance and do chip damage in these matchups. At first, when you use Darryl, use Darryl as an assassin, not a tank. 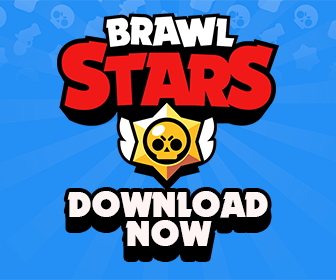 Avoid rolling towards these Brawlers when they have their Super charged: Jessie, Piper, Tara, Nita, Spike, Crow, Barley. Be careful when you roll towards a spawner like Jessie’s turret, Penny’s turret or Nita’s Bear. They can cause you serious problems because Darry’s HP and damage just not enough to handle 2 opponents at once. Always aim carefully when you use the Super. This is very important because it helps you get to the enemies as close as possible. You do the most damage up close. If you don’t get right on top of them, Jessie, Penny, Crow, Barley etc will have enough time to charge their Supers. If you miss the Super, better to back off immediately if there is any cover nearby. If they are a bit close, you can try to attack to recharge your Super again. Stay in the bushes and wait for the enemies ranged Brawlers. Don’t play too much aggressively. Darryl is very vulnerable without Super. Try to keep the distance, play slowly to charge the Super. Do not play too aggressively. Do not roll towards the enemies when they have full HP. It’s not worth it to roll towards Mortis as he can just swipe away and you will waste the Super. Darryl Super has 500 damage only so remember that If you want to use it to kill a low HP Brawler while you are also on low HP. Open maps and maps with lots of waters are best for Darryl as he can roll everywhere and extend his roll. Maps like Rockwall Brawl are bad for Darryl because throwers can easily attack him over the walls. Also there aren’t too much bushes for him to hide and wait. Darryl is too weak before level 5 comparing to the others. At the end, his picture was the same as Bull’s, or at least extremely similar. His appearance is also very awkward and the animation is definitely not right. As well as since so far everyone has an actually name, his is definitely not ‘MiniGunner’. Otherwise, the gameplay and details seem too much to be fake. We’ll just have to wait and see. He is still WIP I believe.